Is the bite of of baby venomous snake more dangerous than an adult? Can a decapitated snake still bite? And does the "red and yellow kill a fellow" rhyme ring true? 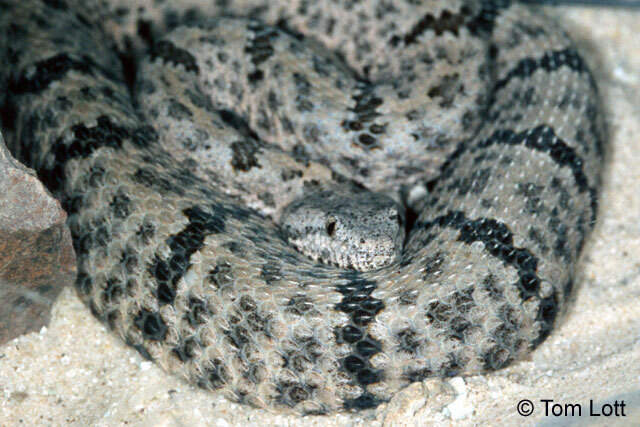 With answers by State herpetologist Paul Crump of the Texas Parks and Wildlife Department and Elda Sánchez, director of the National Natural Toxins Research Center at Texas A&M University-Kingsville, this article from the Dallas Morning News helps explain and explore some of the myths and facts about venomous snakes in Texas. The article also talks about the medical uses of venom, and discusses the various types of snake venom common to Texas snakes, as well as a host of other interesting facts. Check out the article on the Dallas Morning News web site!.